Have You Been Involved In A Bicycle Accident? Bicycle Accidents - Though not as common as auto v. auto personal injury, bike accidents that cause damage are prevalent on the streets of Southern California. Cyclists riding for pleasure and for transportation must share the roadway with a volume of faster moving and heavier automobiles. Even when taking the utmost precaution, cyclists take a significant risk by engaging in cycling for sport, pleasure or commute. The risk of encountering a negligent driver who is not paying attention to roadway rules or their surroundings is ever-present. To understand bicycle accident injury, one must learn how the accident arises in the first place, the severity of such accidents, and the legal avenues available for the compensation of serious damage. 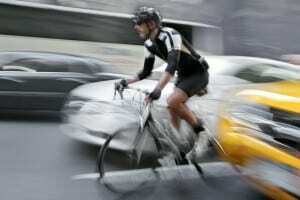 What Creates Bicycle Accidents in the First Place? 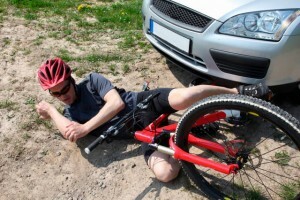 Bicycle accidents can and do arise in a number of different ways. The dangers associated with any sort of bike are significant due to the lack of buffer between the cyclist, the ground, and/or truck, bus or car. Clipped by Car, Truck or Bus. When possible, cyclists generally utilize a special lane located to the right of traffic. This extra buffer zone insulates or protects them from being clipped or sideswiped by fast moving traffic. Unfortunately most roads do not contain these lanes, leaving no buffer between traffic and the biker. And even where there is a special lane, a negligent driver could still hover over too far and cause a collision. When this happens there is a high likelihood of serious injuries. once struck, the person is flung to the ground and possibly run over. Run Over During Right Turn. Although statistically less common than being clipped from the left, cyclists do run the risk of being run over by cars, trucks or buses making quick right hand turns. This most usually occurs when riding in the crosswalk, which is legal in most California cities. A quick right turn at any intersection without a look to the right by the driver can cause impact that results in the person flying off the bike, striking the ground, and then being subjected to the risk of being run over by other traffic. Pot Holes in City and Public Streets. Occasionally a person on a bike will fall due to a poorly maintained roadway. Road bike tires are small and do not handle problems with the road as well as large vehicle. When a hazard exists in the road that is not readily apparent, this can cause even the most reasonable and diligent cyclists to lose control and fall. Under such circumstances, serious harm, including broken bones and/or head trauma can results. Regardless of the relative severity, most of the above are very significant and create the likelihood of life altering consequences to the victim. Due to the severity of the harm, significant caution should be exercised when riding at all times. Unfortunately caution will never completely mitigate the possibility of falling victim to another's negligent behavior. Fortunately there may be legal recourse against the person or entities responsible. Whether it be from the wrongdoing of a driver operating a truck, bus or car, or from the negligence of a city or private road owner, you may be entitled to compensation under the law. To obtain the most amount of money compensation to pay for recovery, funeral costs, medical bills and pain and suffering, you must choose an injury attorney with the reputation, knowledge and diligence to get the needed results. But not all lawyers are the same in this regard. It is of the utmost importance to locate the right personal injury attorney. 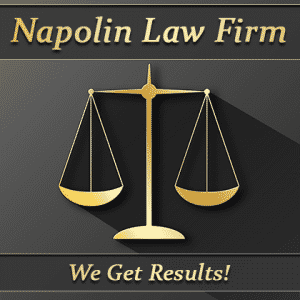 Here at The Napolin Law Firm, we have extensive experience advocating for those hurt on the roadways. Call now and speak with a lawyer with decades of experience winning these types of cases. We don't fight not to lose. We fight to win! Begin with a free case evaluation to learn your legal rights and whether our top lawyers can advocate for justice on your behalf with no money up front. 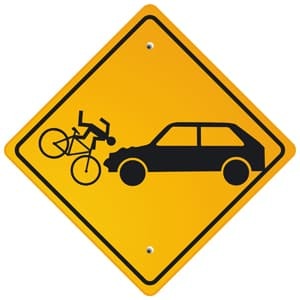 If you, a family member or friend have been involved in a Bicycle Accident. Please contact our law offices. Call Now: (909) 325-6032 - We are available!